this is the 2nd part of the BornPrettyStore.com Rhinestones review. If you missed the 1st part, just click here. This time I went for a little more bling! 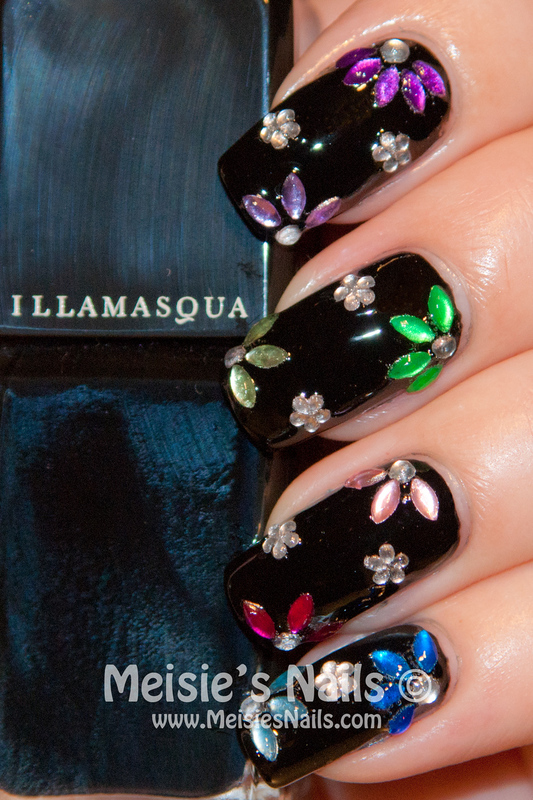 I used the elliptical shaped rhinestones to create colorful half flowers and used the round and flower shaped silver rhinestones to complete this mani. I really like the matte version but I had to apply topcoat over it just to make sure this mani would last long enough. And it did: 5 long days! 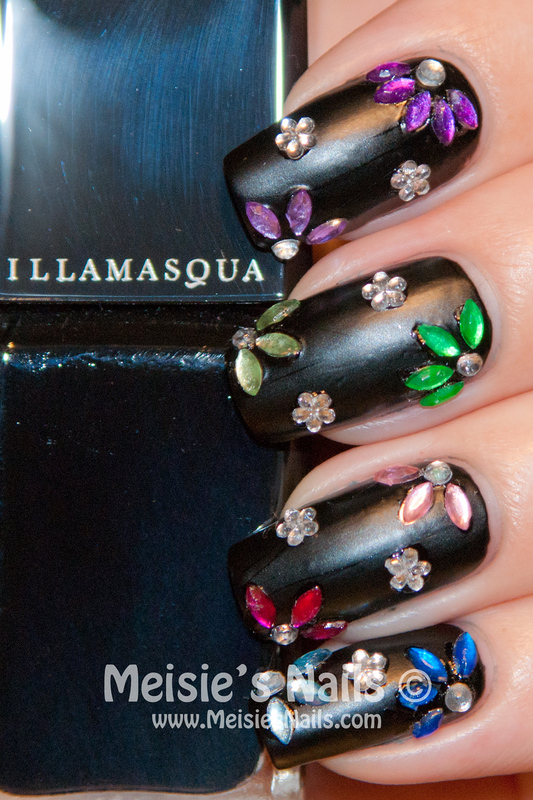 The Rhinestones stayed well in place and laid really flat on the nails. These rhinestones can be purchased at BornPrettyStore.com and they offer FREE WORLDWIDE shipping. The 6 Shape Silver Rhinestones wheel retails for $3.84 while the 12 Color Elliptic Shaped Rhinestones wheel retails for $2.92. If you use my code AA7J61, you'll get 7% off of your entire purchase!